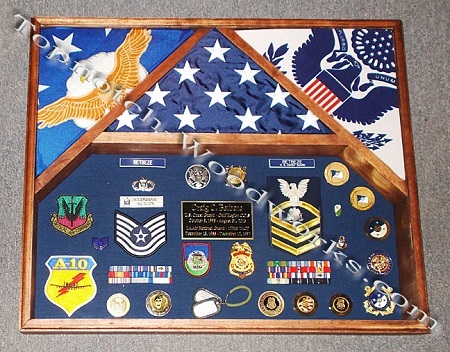 Display your service memorabilia with the elegance and respect it’s earned. We build top-quality North American hardwood display cases. 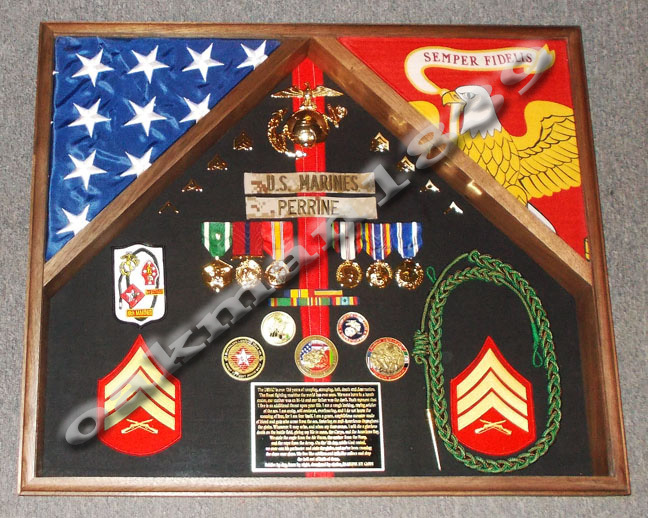 We strive to offer the finest quality hardwood flag and display cases. Our goal is to exceed the customer’s needs by providing a quality product, personalized service, and rapid delivery. 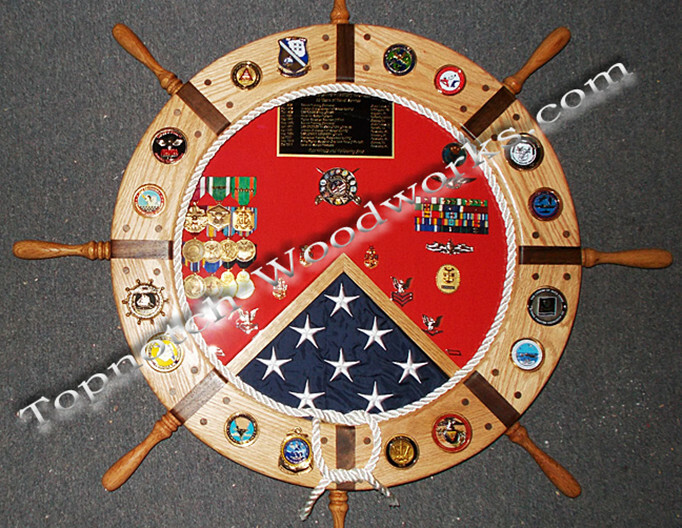 Each flag and display case is hand crafted here in the USA from select North American hardwoods. 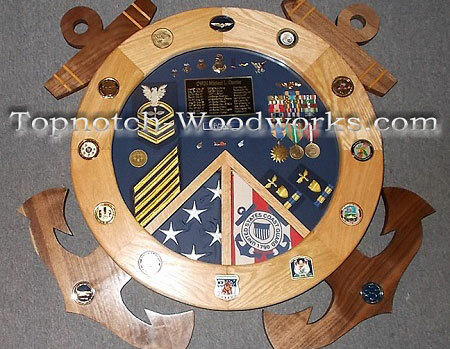 Topnotch Woodworks is Veteran-owned and -operated for over 15 years. With our vast knowledge and experience, you can rest assured that your hard-earned medals, ribbons, insignias, and other prized possessions will be mounted properly, with attention to detail. Whether you’re a Private or Admiral, from peacetime to conflict, we would enjoy working with you to customize a case to your satisfaction. We’re pleased to have served many satisfied customers from the Army, Navy, Coast Guard, Marines, Air Force, Public Health Service, NOAA, State and National Guard units, Emergency Services personnel, and federal, state, and local police. We’re confident that we can provide top-notch service for whatever you require. If you can dream it, we probably can do it! Everything Topnotch Woodworks sells is 100% guaranteed. If for any reason a product does not meet your expectations, you may return it within 14 days of the delivery date for a refund (excluding custom orders). Please see our Ordering Information page for details.